After 3 days in Hanoi we did not want to leave. Even at the end of our 4 week journey through China, Vietnam, Cambodia and Thailand, we still looked back at Hanoi with a special fondness. Whether you’re spending a week here or, or just have a long layover in Hanoi, you’re bound to fall in love with it like we did. It’s a friendly city, welcoming people whether they’re young English teachers ready to party, curious travellers interested in the local history, or gay and looking to celebrate Pride. The first place we went, the place on every ‘to-do’ list, was Old Town. Old Town is aptly named with the obvious age of the buildings and architecture. Being an old French colony it is like being in a French chalet town, very narrow streets bustling with activity. In this maze of avenues and alleys you can buy anything you want, but the one thing you must have a look for is the local traditional Bia Hoi. This is a local beer that is delivered daily to small street corner shops and is a fraction of the cost of any other beer in the whole country. You can buy a glass for 5000vnd (0.15GBP). It is not brewed to any specification so you don’t know how much alcohol is in it (people generally say around 3%) but at the cost it’s difficult to ignore. Then there is the food, again being an old French colony there is a lot of influence. Everywhere throughout the city you can buy small baguette sandwiches for 20,000vnd (0.66GBP). 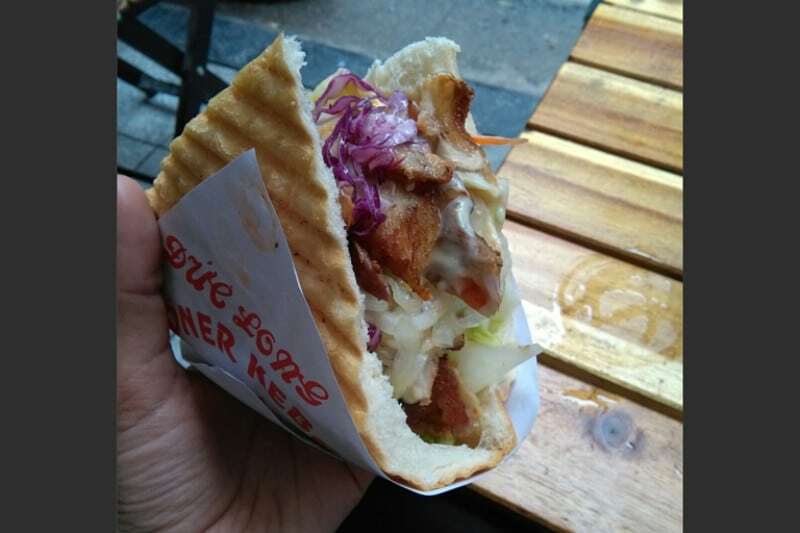 I thought that these really hit the spot but if you need something more substantial there are so many street food vendors and small restaurants with very affordable food. My favourite being the chicken kebab stalls which were amazing. 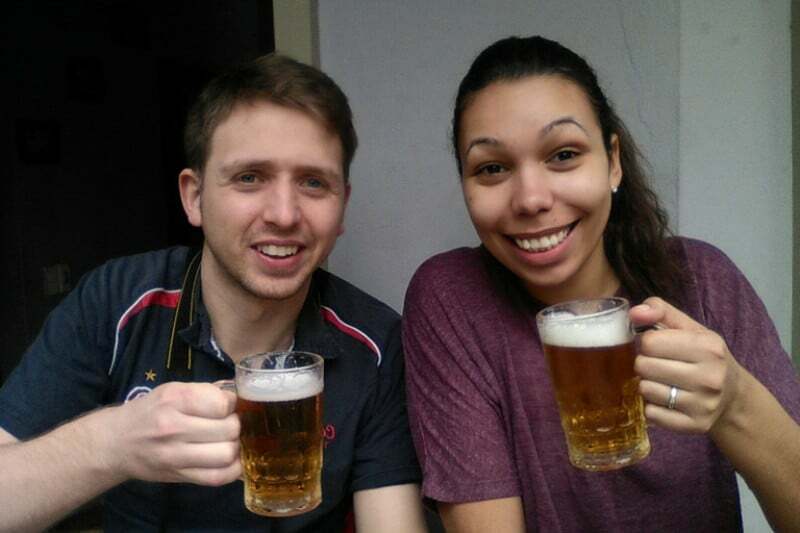 We then decided that our shoulders hurt, being the hard-core travellers we were…. 1 week into the trip. 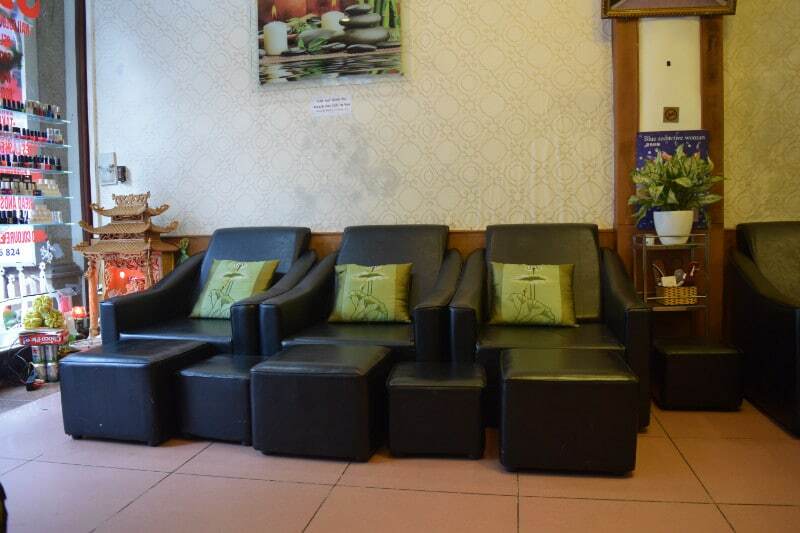 So we got a Vietnamese massage. Now I come from a sport background so I know massage isn’t supposed to be relaxing if you want it to have any significant benefit However, knowing and prior experience never prepares you for the pain! Personally I think they did a very good job, you’re sore for at least 24 hours but I felt much better for it. It cost us 120,000vnd (4GBP) each so not a bad price either. Now we went throughout the city in search of some of the many historical sites, all were very interesting but I’ll leave you to find the small ones whilst exploring the city. However I would recommend definitely having a look at the Hỏa Lò Prison. This is the prison that French colonist used to detain the Vietnamese and where some American POW’s were kept during the Vietnam War. It is very well preserved in some areas and lets you take a little glimpse into the past and the not too distant past. Finally we ventured out during the night to have a look at the relatively famous Hanoi Night market. Now the night market itself wasn’t my cup of tea completely. You couldn’t move and even though there were 1000 stalls, there were only 3 different ones. 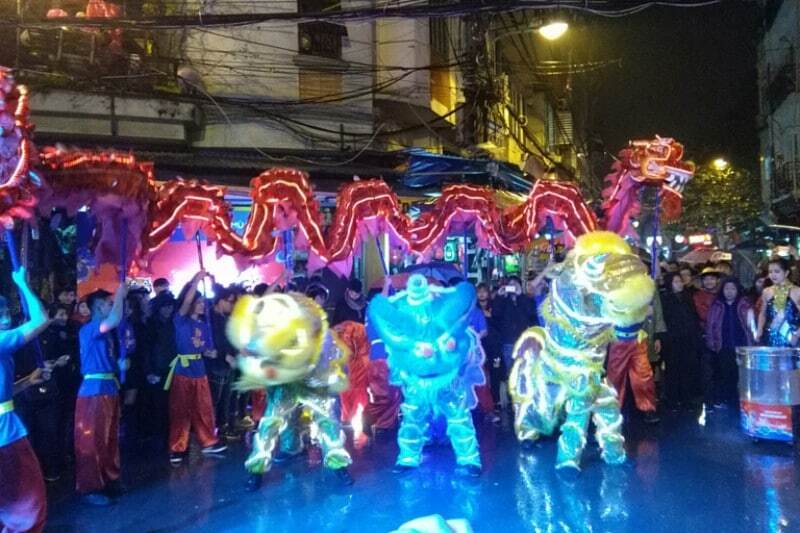 However we were very lucky that it was nearing the Tết holiday so we ran into a music and dancing show that was brilliant, had some more Bia Hoi, grabbed a chicken kebab and finished the trip on a high. Never been to Vietnam? Be prepared and research everything you need to know before you go to Vietnam! Have you been to Hanoi? Is it one of your favourite cities too? Let us know below either way and why! Sounds lovely – and the baguettes sound darn good too! I won’t lie, the baguettes were pretty good. Haha, beer is always a highlight! You’ll love it I promise. So much character. 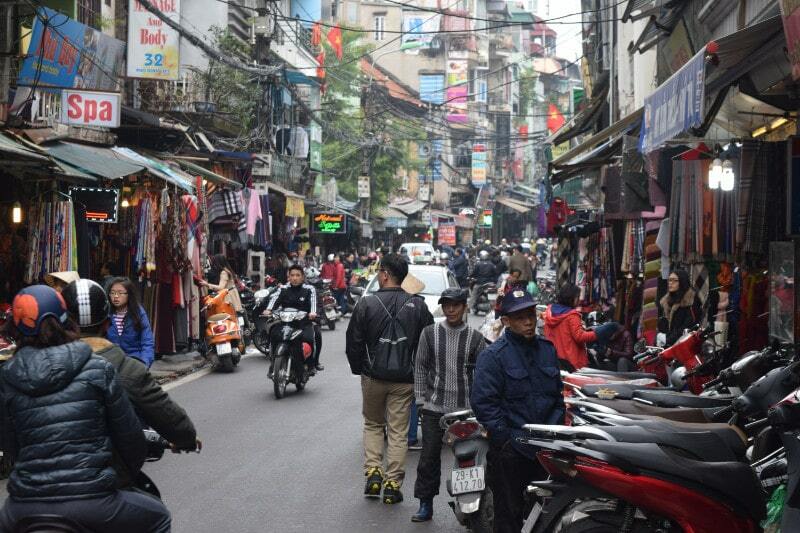 I keep hearing so many wonderful things about Hanoi. That night market looks incredible. And really, who can say no to a cheap beer with a mystery amount of alcohol in it? I have to say that the night market wasn’t one of the best i’ve been to. I don’t know what Jade thinks but a little too repetitive with the stuff on sale. However still the best city I have ever been to. Cheers, we were only there for a couple of days and I know there is loads to do in the surrounding area so if your going for a little longer then you’re sure to enjoy it even more than we did. I have to admit that this particular massage was brutal, best to stay away haha! I can understand you, I also loved Hanoi, its old centre and its bia hoi! Did you see the water puppets show, in a theatre close to the lake? I enjoyed this too . . The old city was the place i liked the most, i heard at the time they were planning on destroying the whole lot because of the age, i hope they don’t but all the more reason for other people to get to Hanoi! We saw the building for the puppet show but we didnt have time to see one unfortunately. Maybe next time! I loved Hanoi also! The beer and bahn mi are both so good. I really miss it and hope to get back this winter. I don’t blame you for wanting to go back. We are planning to go back in a couple of years for a year or so. Hanoi seems like such a wonderful place to explore. The night market looks packed but also looks like so much fun! It really is a good city to go to, we hope you have a good time! let us know all about it when you go. I haven’t been to Hanoi yet, but I’d love to spend the day exactly like you did – beer, baguette, massage, museum, market. I’d like to see the water puppets too! That day was pretty darn good! If you manage to get the water puppets in too then i’ll be impressed albeit a little jealous! I’ve heard so many great things about Hanoi. I’ve only been to Thailand in Asia. Hopefully I will get to experience Vietnam for myself. I would suggest going to Hanoi first if you do manage to get to Vietnam. We went all the way down the coast of Vietnam and, even though it was all brilliant, Hanoi was the highlight. Hanoi does seem like a breathtaking and awesome place! This was such a motivational post! The most awesome is Old Town. That has some serious character to it!